The Second Army thereupon ordered LI Corps to form flying columns composed of motorized elements and pursue the retreating Yugoslav forces in the direction of Zagreb. On 10 April cold winds and intermittent snowstorms hampered the movements of the advancing Germans, and flood waters interrupted the crossings at Maribor during the day. After regrouping its forces south of the Drava the LI Corps resumed its advance toward Zagreb at 0600 on 11 April. Plodding through difficult terrain during the afternoon, forward elements reached the southern exit of the mountain range northwest of the city by evening. A bicycle troop of the 183d Division wheeling eastward had, meanwhile, taken Varazdin, where it captured a Serb brigade, including its commanding general. In some instances Croat troops refused to fight, abandoned their weapons, deserted their positions, and either surrendered or simply went home. One German regiment surprised an enemy unit which was still in garrison and not yet fully mobilized. A regimental officers’ party just in progress was interrupted only long enough to consummate a quick surrender, whereupon the festivities continued as though nothing unusual had happened. The favorable course of the military events along its front led the German Second Army to offer its assistance to the Italian Second Army assembling along Yugoslavia’s western border. On the early morning of 11 April the Germans were informed that the Italian V, VI, and XI Corps would be ready to attack toward 1200. 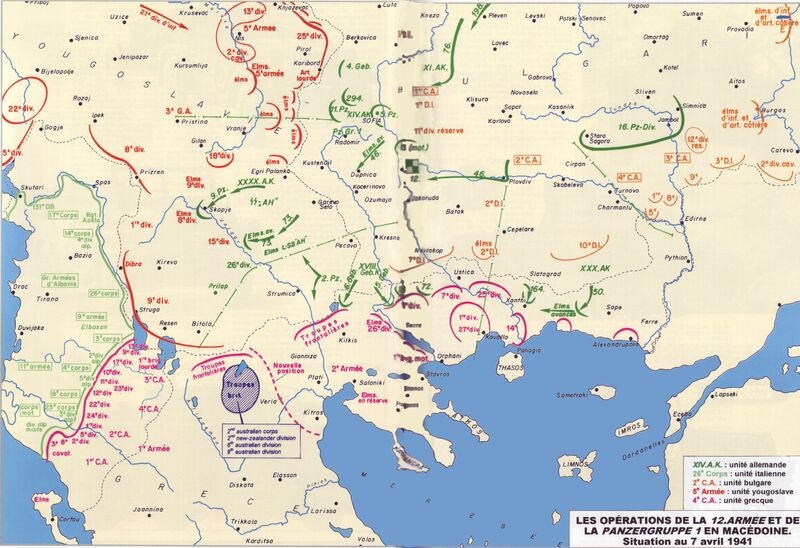 To speed up the Italian advance and consummate the encirclement of the Yugoslav Seventh Army forces in the Ljubljana Basin, the German XLIX Mountain Corps was to conduct the diversionary attacks in the north while 14th Panzer Division forces were to cut the enemy’s route of withdrawal. As a preparatory step the German Fourth Air Force attacked Yugoslav columns and troop concentrations in the Ljubljana area. When the Italian forces finally jumped off, they encountered little resistance from the Yugoslavs, who were attempting to withdraw southeastward. A great number of prisoners and much booty were captured as entire divisions surrendered. About 30,000 Yugoslav troops concentrated near Delnice were waiting to surrender to the Italians who were moving southeastward in the direction of the Dalmatian coast. Upon moving its command post to Maribor on 11 April, the German Second Army headquarters received a message from the Hungarian Third Army by which it was notified that Hungarian troops were crossing the Yugoslav frontier north of Osijek and near Subotica. On the next day the Hungarians pursued the retreating Yugoslav First Army and occupied the area between the Danube and Tisza Rivers, meeting virtually no resistance. By the evening of 13 April there was no longer any semblance of enemy resistance in front of XLIX and LI Corps. The main body of the German forces reached the Kupa River and some elements were quickly put across. 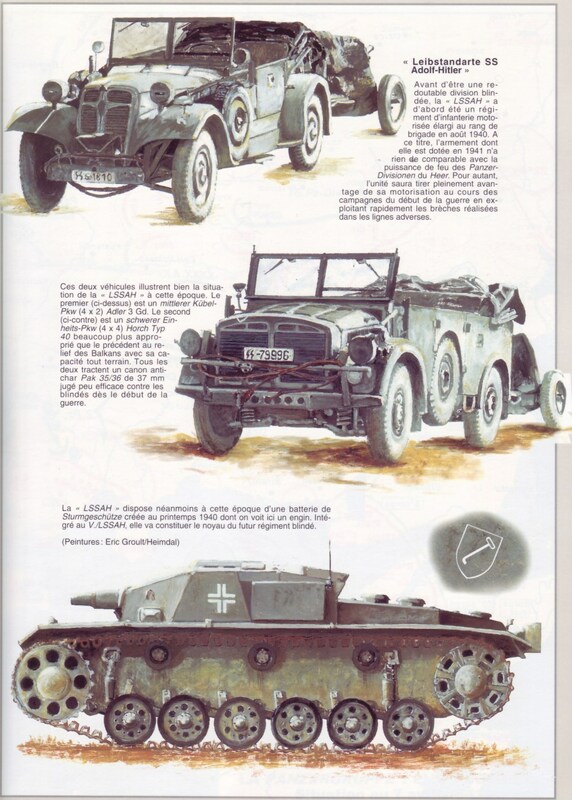 The 14th Panzer Division, meanwhile, sped southeastward toward Sarajevo. As the division approached its objective, reports began to circulate that open hostilities had broken out between Serbs and Croats in Mostar. German planes were quickly diverted to this area where they blasted Serb troop concentrations for three hours. By 14 April the fighting between the Serb and Croat factions had gained momentum and had spread throughout Dalmatia. On that day the 14th Panzer Division reached Jajce, approximately fifty miles northwest of Sarajevo, while forward elements of the LI Corps, attempting to keep up with the armor, arrived at the Una after strenuous marches and established several bridgeheads across the stream. Late on the evening of 14 April, a representative of the Yugoslav Government approached the First Panzer Group headquarters and asked General van Kleist for an immediate cease-fire. When the Army High Command was advised of this turn of events, it designated the Second Army commander, General von Weichs, to conduct the negotiations in Belgrade. The armistice was concluded and signed on 17 April. (General von Weichs signed for the Germans, with the Italian military attaché in Belgrade acting on behalf of his country. The Hungarians were represented by a liaison officer who, however, did not sign the document since Hungary was technically “not at war with Yugoslavia.” Foreign Minister Cincar-Marcovic and General Milojko Yankovic signed for the Yugoslavs. The armistice became effective at 1200 on 18 April 1941, just twelve days after the initial German attack was launched. The losses sustained by the German attack forces were unexpectedly light. During the twelve days of combat the total casualty figures came to 558 men: 151 were listed as killed, 392 as wounded, and 15 as missing in action. 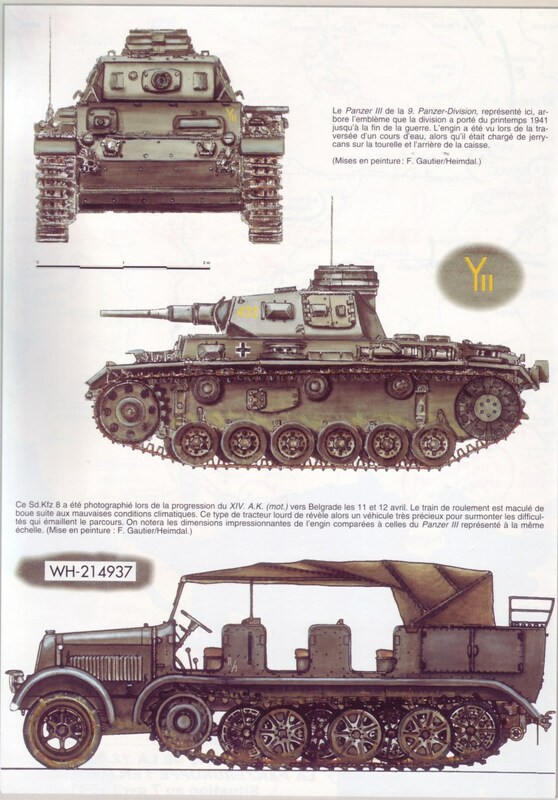 During the XLI Panzer Corps drive on Bel grade, for example, the only officer killed in action fell victim to a civilian sniper’s bullet.